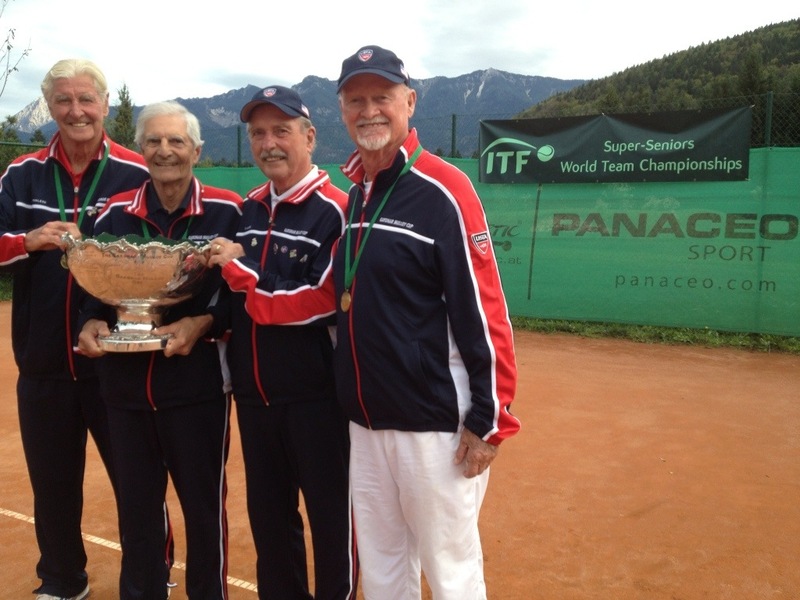 USA came very close to sweeping the men’s events at the 2013 Super Senior ITF World Team Championships in Austria and Czech Republic today. They won the Von Cramm Cup (M60) 2/1, the Jack Crawford Cup (M70, 3/0an upset over top seeded Austria and Jimmy Parker beat Peter Pokorny 62 61! 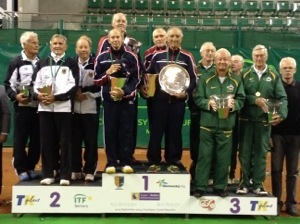 ); Bitsy Grant Cup (M75), 2/0 (The USA won easily at #1 and #2 singles at an indoor venue, then the doubles was not played) and the Gardnar Mulloy Cup (M80), 3/0 over France (John Powless beat Henri Crutchet 62 61! ); the Alice Marble Cup (W60), 2/1 over host Austria (Tina Karwasky won the singles and doubles points (with Mary Ginnard); and the Queens Cup (W75), 2/1 over Gr. Britain (dropping only the doubles point, 76 in the third set). 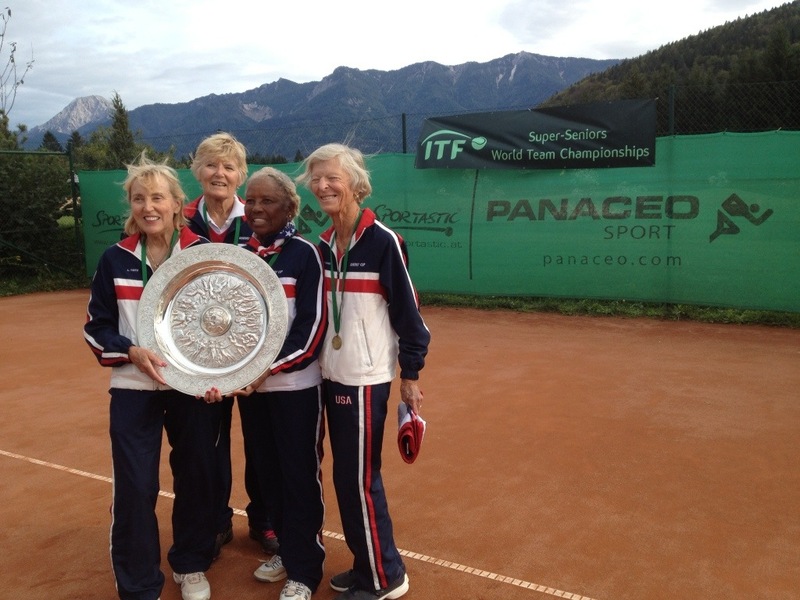 USA finished second in the Kitty Godfree Cup (W65, 2/0 losers indoors to France) and Althea Gibson Cup (W70), 2/1 to Great Britain (Fales and Anderson lost tight three-setters; Fales/Hillebrand won the doubles point). It was a really nice day today, quite beautiful and the players were all happy. 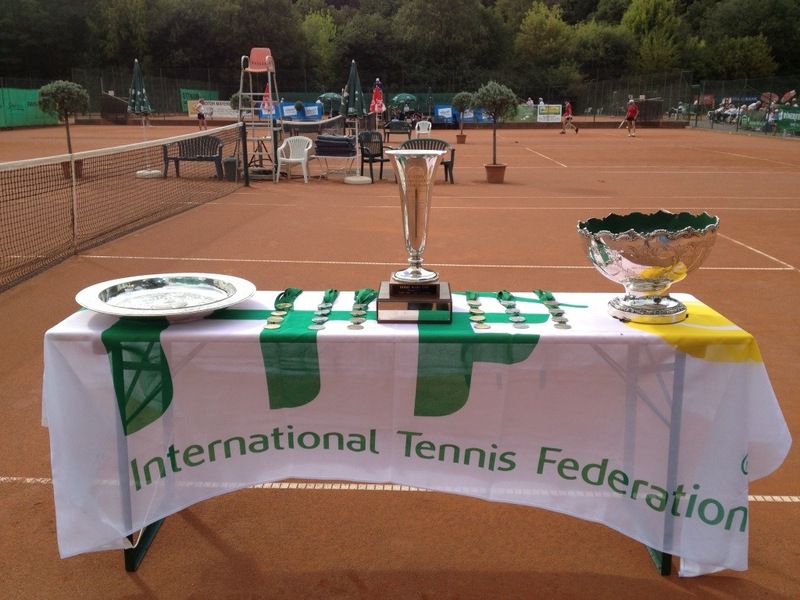 The Doris Hart Cup finishes tomorrow, W80, with a final between Australia and Canada.